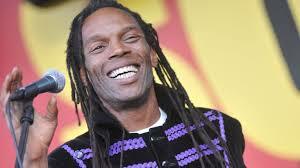 Graceful vocalist who fronted and energized the great English Beat; later formed General Public. He really pulled together many different musical threads -- ska, punk, two-tone, reggae, pop, and more, fusing them on three killer albums. Roger AKA Roger Charlery. Via the BBC.